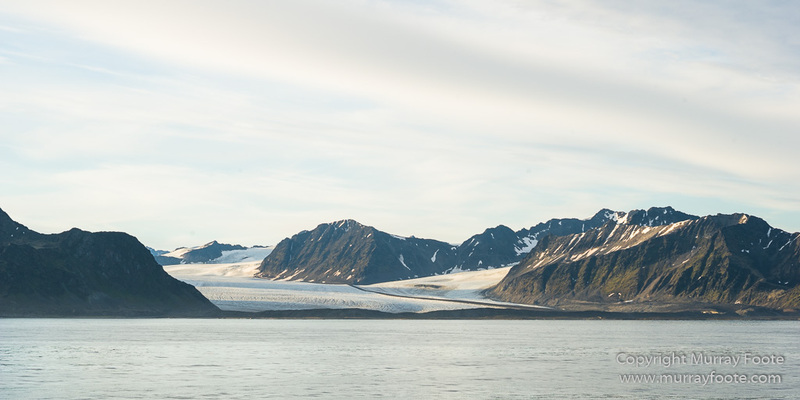 At sea, Spitsbergen. Day 39. 6th August 2013. 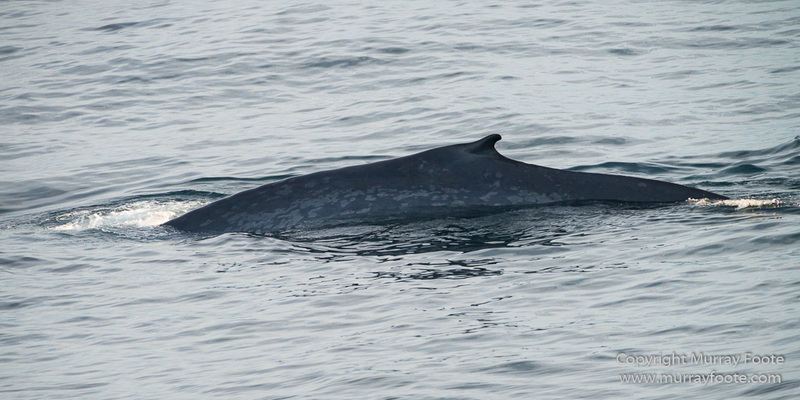 At 11:30pm, we were summoned on deck for a sighting of a couple of blue whales. 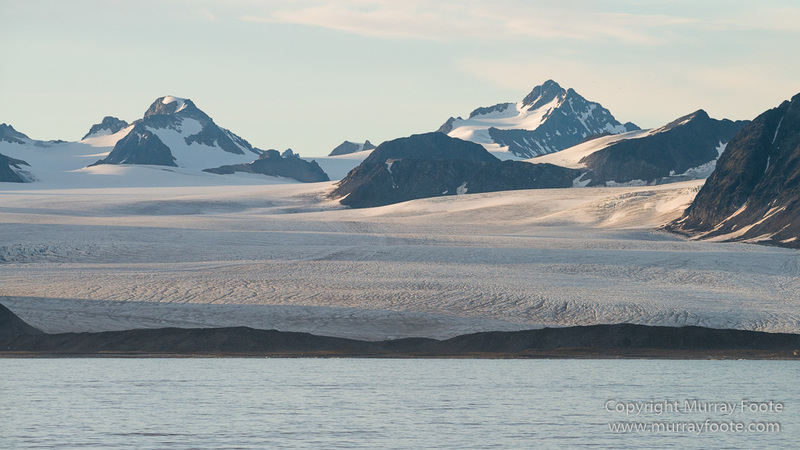 It being very far north in summer, there was still plenty of light and the sun wasn’t intending to set. We sailed along with them for some distance, although they were several hundred metres away. Blue whales are the largest animal ever known to have lived, at up to 30 metres long and 180 tonnes in weight. This is one of the reasons why you are most unlikely to see a blue whale in an Olympic-size swimming pool. The largest dinosaurs may have been as long but their length is usually an extrapolation from just a few vertebrae and as land animals, their weight was a fraction of the blue whale. 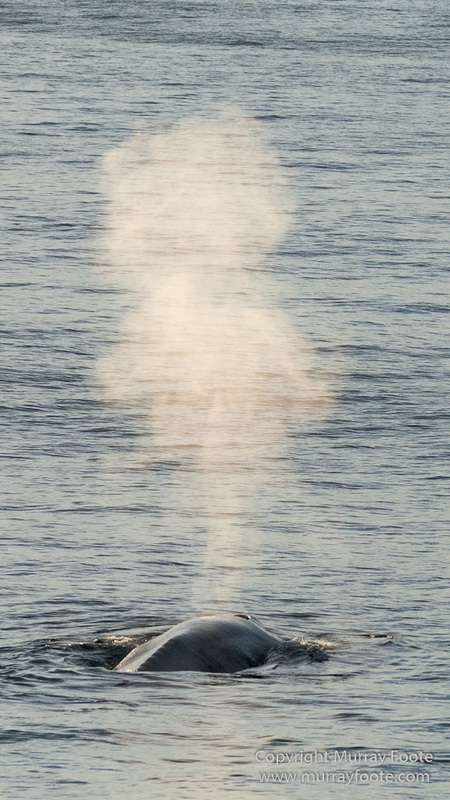 It is much easier to photograph a blue whale than a humpback whale because they swim along in a straight line and surface several times before going down. This means it is easy to predict where it may come up again and may also account for why they were hunted almost to extinction by the early 20th century. 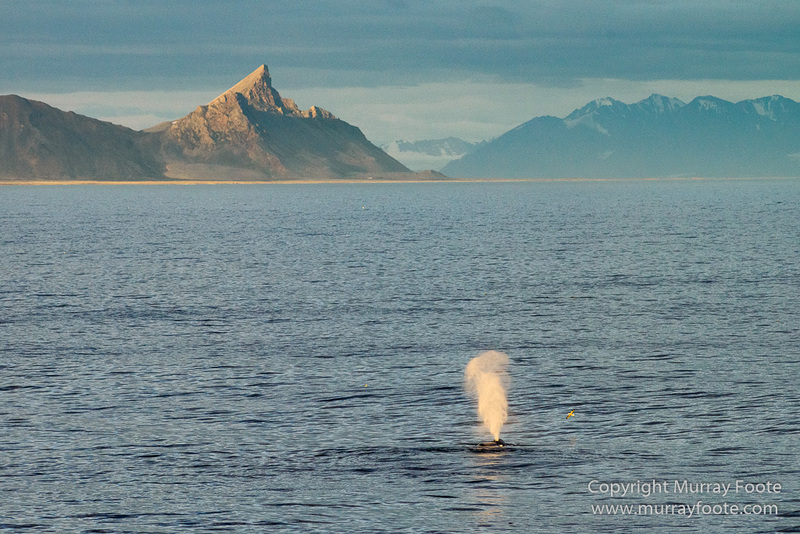 Taking photographs of the whales is one thing, but including some of the setting gives another dimension of context. 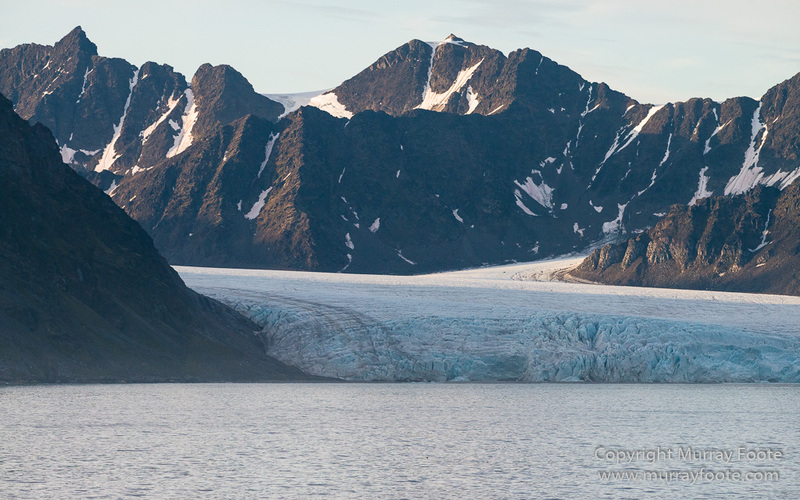 We were somewhere near the north-west corner of Spitsbergen. 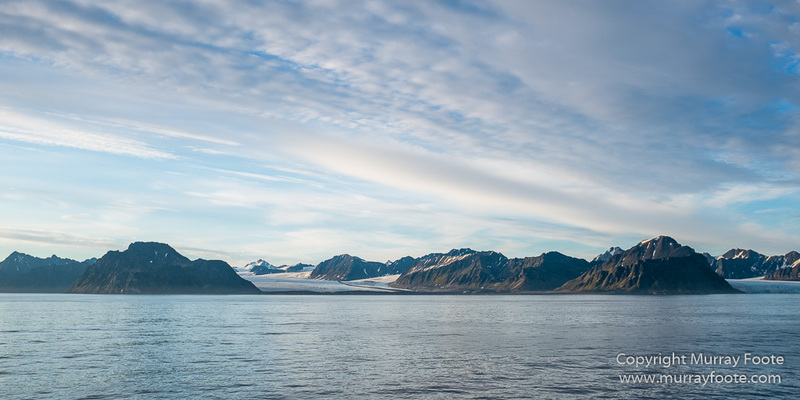 This entry was posted in Spitsbergen and tagged Blue whale, Glacier, Nature, Photography, seascape, Spitsbergen, Travel, Whale, Wilderness, Wildlife. Arg I’m sooo jealous of you haha. Keep being amazing! Thanks very much Vinh. You have some useful stuff there, clearly expressed. I’m sure Egypt is remarkable though I don’t have any plans to go there. Actually, I used to work with someone called Vinh Nguyen. He came to Australia as a refugee on a boat and they were intercepted by pirates off the coast of Malaysia. Oh man. I need to talk with you more about this. That is so nice to know. Are you still in contact with him? Living in a younger generation, I would love to have some talks with him. Wow! No, I retired five years ago and haven’t seen him since probably some time before that. He was a really nice bloke and a family man but he wasn’t very well suited to IT systems development.